Submitted by Julie Doyle on July 08, 2015. As the Boulder Coloradan sunshine settles on COCE 2015, and we return to the demands of our lives and jobs, it seems the perfect moment to reflect upon the experiences of COCE 2015, before preparations for the next instalment at the University of Leicester (UK) get underway. Submitted by Richard Doherty on July 07, 2015. My main goal while a member of the leadership of the IECA is to get our work out in the world so it can help do good. So when the IECA was invited to send a speaker to the 2015 European Communication Summit in Brussels, and that speaker turned out to be me, the new Vice Chair of the IECA, I was jazzed. Submitted by Stephen Depoe on June 25, 2015. After returning from this month's COCE conference in Boulder CO, at which I heard a number of insightful papers addressed current trends and practices, I decided to launch a new project--a new edited volume that features work exploring theoretical, applied, and critical dimensions of community engagement in environmental decision making at local, regional, national, and global levels. I have asked Gregg Walker (Oregon State University) and Kathleen Hunt (Iowa State University) to co-edit this project with me (thanks Gregg and Katie!). Submitted by The IECA on June 24, 2015. Submitted by Alison Anderson on June 22, 2015. The Impact Factor for Environmental Communication has risen from 0.803 to 0.817 and our association's journal now ranks 37/76 in the Communication category! Submitted by Mark Meisner on June 18, 2015. On Sunday, the International Environmental Communication Association wrapped up its 2015 Conference on Communication and Environment in Boulder. Bridging Divides: Spaces of Scholarship and Practice in Environmental Communication brought together researchers, practitioners, artists and students from around the world, and on the first full day of the conference, treated them to an inspiring and inspired keynote address by Dr. Susanne Moser. Submitted by Stephen Depoe on June 13, 2015. I am sitting in a bagel shop in Boulder CO on a Saturday morning in June, having coffee and and a bagel, waiting for today's session of the 2015 Conference on Communication and Environment (COCE). I expect that today, day three of the conference, will go as smoothly and be as inspiring as the first two days. Kudos to the conference planners, as well as the International Environmental Communication Association as coordinating body. I wanted to take a moment today to address IECA members, whether you are attending the COCE conference, perhaps for the first time, or are following via live streaming, or are spending today at home. Here is my simple message for today: Say "yes." Submitted by The IECA on June 12, 2015. We are well underway in Boulder for the 13th biennial Conference on Communication and Environment (COCE). Looking really good so far. 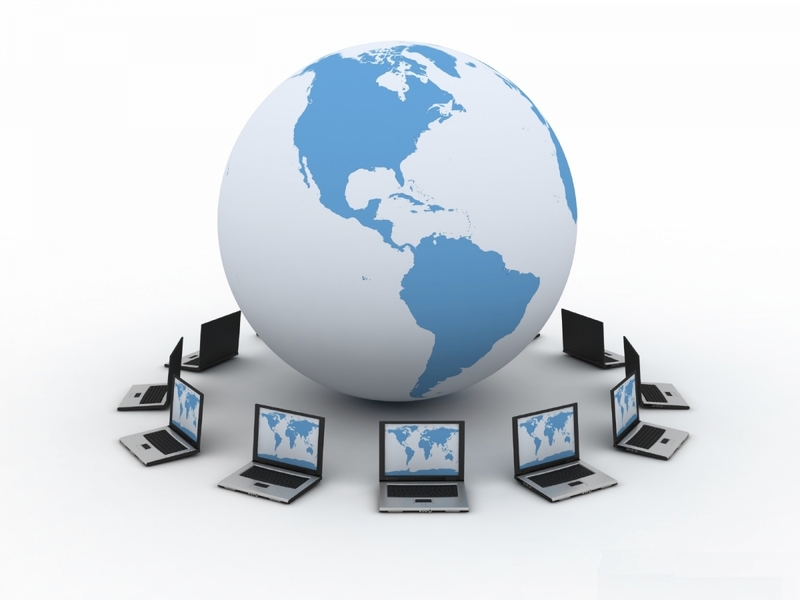 If you are registered for COCE 2015 in any category, you can access the Virtual COCE site to see the streams and recordings. Just login to your IECA account and go the Virtual COCE page. We here at the Bridging Divides, the Conference on Communication and Environment in Boulder. Artist Mimi Katzenbach's installation At the Crossroads of the Four Forms of Catastrophe invites participation from those attending Virtual COCE. 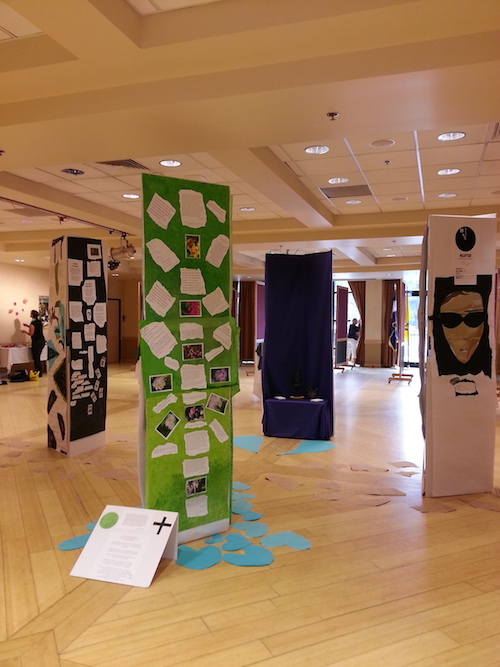 As you enter room 235, four columns of covered with colored papers and text meet you. Deliberately makeshift, very low (non) tech, irregular, uneven, somewhat precarious, temporary: as shelters are in environmental catastrophes. Submitted by The IECA on December 11, 2014. 1. We have a LISTSERV again, and have had one for a while. Well, it's technically a Google group, but it functions the same way. Send your email to theieca@googlegroups.com. Start a discussion. Ask a question. Share something interesting. Reply by email (what a concept!). All members SHOULD be on the list, but if you are not, you can always join, as can non-members. Submitted by Stephen Depoe on November 10, 2014. IECA members: Fall 2014 means election season for new board members and leaders, as well as membership renewal time. I want to thank all of you who agree to run for elective office as board members or Vice-Chair of the organization. Bravo. It's your time to lead. Members--please exercise your right to vote. Consider the candidates carefully, and vote wisely--and thank all of the candidates along the way for their willingness to serve. Submitted by Mark Meisner on November 03, 2014. Today The IECA is launching a simple campaign to increase our membership. It's called "Plus One" and it asks ALL current members to bring a friend to The IECA for 2015. The IECA is a solid, but small association. We are doing really well for our size, but we don't yet have the capacity to pursue our ambitions in a bold way. Simply, we need a larger committed membership to sustain and advance The IECA and its mission in the long term. We dont have the resources for a big outreach campaign. But that's OK because we think the best way to get new people involved is through the personal connections of our members. So, we are asking ALL current members to get at least one other person to join The IECA. She or he could be a colleague, a student, a professor, a friend, it doesn't matter, as long as they are passionate about finding better ways to communicate about environmental and sustainability affairs. Our hope is to have 100% participation from our current members. Starting now, all new memberships last through to the end of 2015, so go ahead and invite your Plus One to The IECA. To help you out, we have a one-page flyer in PDF format that you can download and share with a friend. As always, thanks for your interest in The IECA. Submitted by Alison Anderson on August 11, 2014. The Impact Factor for Environmental Communication has risen from 0.645 to 0.803 and our association's journal now ranks 40/74 in the Communication category! Submitted by Alison Anderson on June 29, 2014. Environmental Communication, Volume 8, No. 3, is now available online ahead of print! This volume showcases articles discussing the communication of a range of environmental issues in several different cultural contexts including Canada, the USA, Turkey, China and the UK. Don't forget to also check out the new Book Reviews Section. Submitted by Alison Anderson on June 08, 2014. Free Access to Environmental Communication Influential Articles Collection Throughout 2014! Take a look at the high quality research published in Environmental Communication with free access throughout 2014 to 10 recent articles selected by Editor-in-Chief, Alison Anderson. These include a mix of regular articles on a range of timely and important debates, as well as agenda-setting pieces from recent Special Issues commenting on the current state of the field. Please pass on the news to colleagues. Simply click on the links below to begin reading the articles today. Submitted by Alison Anderson on May 27, 2014. Submitted by Alison Anderson on May 09, 2014. 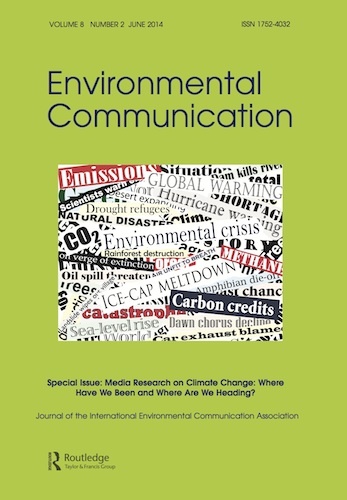 I am pleased to announce that a new Special Issue of Environmental Communication has just been published online. Submitted by The IECA on May 05, 2014. New Issue of Environmental Communication Out Now! Submitted by Alison Anderson on February 14, 2014. Submitted by Mark Meisner on October 03, 2013.